Take a driver off the tee. 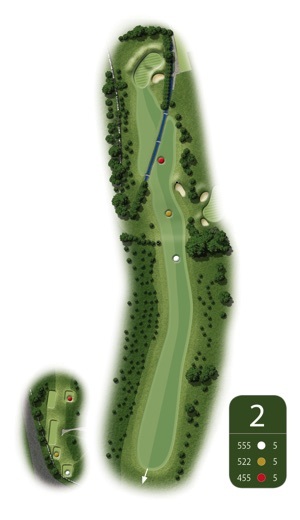 A mid-long iron positioned between the fairway bunkers means a short iron to the green. If the flag is on the right of the green, don't leave the shot short.